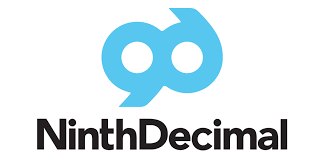 We are pleased to announce the newest addition to the North Atlantic Venture Fund V, L.P. portfolio: NinthDecimal, Inc. Headquartered in San Francisco, CA, NinthDecimal is the preeminent marketing platform powered by location data. From the company’s experienced management team and industry-leading technology to its impressive growth and momentum, NinthDecimal is a strong match for North Atlantic’s investment profile. Our $8.0 million commitment represents a continuation of the Fund V strategy to support high-growth technology companies. Under the leadership of Chief Executive Officer Michael Fordyce, NinthDecimal earned a spot on the prestigious Inc. 5000 list for the second consecutive year, ranking as the 22nd fastest-growing private company in the San Francisco Metro area. It was one of just five companies included in Gartner’s 2016 Cool Vendors in Mobile Marketing report, and was honored by AlwaysOn as one of the OnMedia Top 100 winners for the fifth consecutive year. NinthDecimal has raised more than $80 million through six rounds of financing to date. Our co-investors include Trident Capital, Panorama Capital, Comcast Ventures, DFJ, Frontier Venture Capital, and Norwest Venture Partners. We are excited to work with Mike, our co-investors, and the entire team to support NinthDecimal’s ongoing growth and success. At North Atlantic Capital, we provide growth capital to innovative technology companies across the United States. Founded in 1986 and based in Portland, Maine, we are currently investing our fifth fund, which is capitalized at more than $125 million. We target high-growth, later-stage technology businesses with annual revenues of more than $10 million. Our initial investments are structured as subordinated debt and typically range between $5 million and $10 million. NinthDecimal is the marketing platform powered by location data. It harnesses this data to build a precise understanding of consumers’ physical world behavior. Fortune 500 companies and marquee brands, including Microsoft, Target, Kraft, Comcast, American Express, Starbucks and Toyota, activate this customer intelligence through audience targeting, measurement, insights and data licensing solutions. By filling the massive gap in understanding how consumers spend the majority of their time, NinthDecimal provides marketers a comprehensive new model of the customer journey for impactful engagement.